Materials: Scaffolding, books and cables. Height, 18 meters. Installation.completed with drawings, sketches and photomontages. 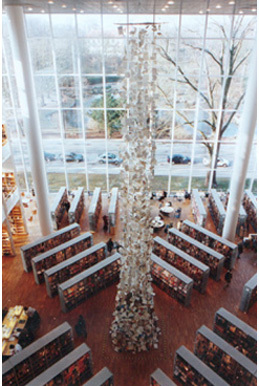 Grants: Kulturmalmö and the Central Library. Opened by the Swedish Ambassador in Denmark. Covered by the local Press and TV.